We all aspire or dream of making positive changes in our lives. We know what we want but don’t always have the resolve or work ethic to make it happen. If we were able to make those changes then we could transform our lives for the better. No matter what it might be. Losing weight, eating healthier, studying harder for better grades, finding a way to expand our friend circle, making more money, etc. Every single one of us has a goal or a dream. So how can we find a way to make it happen? It all starts with self-belief and confidence. If you don’t believe you can achieve it then the likelihood of doing so is that much tougher. Miracles aren’t common so rather than sitting back and hoping for positive changes, you need to get up and move and make it happen. 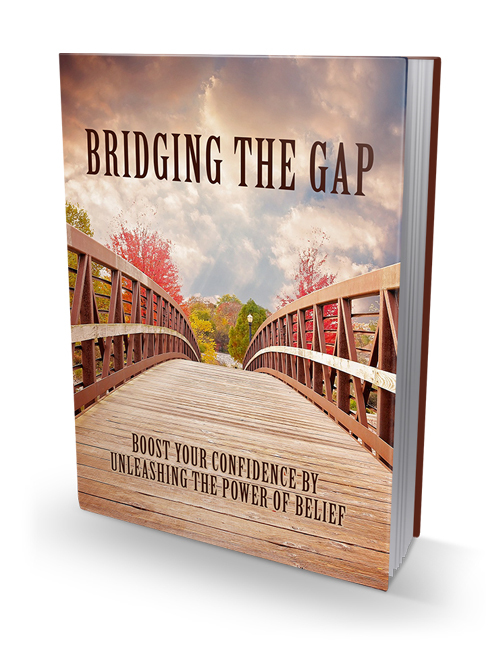 In this guide, you’ll be introduced to the belief system and how to make it work in your life. You’ll learn how to limit negative thoughts, how to boost your motivation, making the effort to grow mentally every day and much more. This isn’t a miracle guide but it can help you to attain the right mindset which is a key factor in getting onto the path of positive change and ultimately success. You can also get the Bridging The Gap video course with this guide if you prefer visual learning. Get it now.